Get ready to change your expectations of what a gaming peripheral can offer. 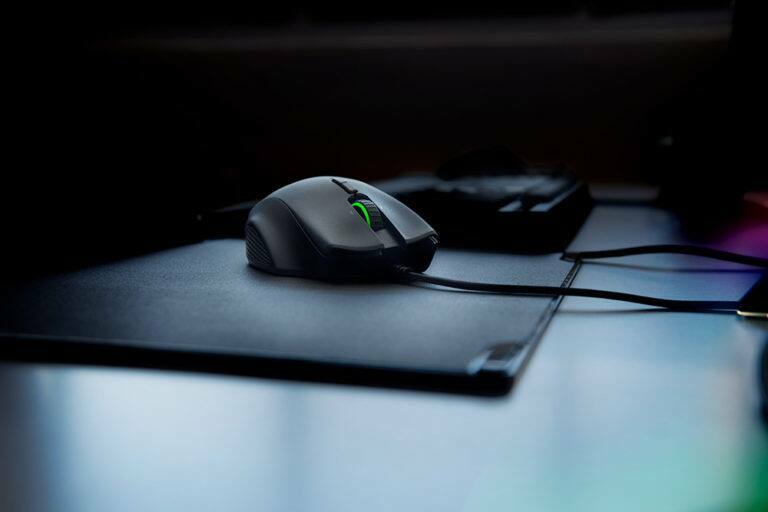 Equal parts lifestyle brand and hardware manufacturer, Razer is out to change the world of gaming, one peripheral at a time. 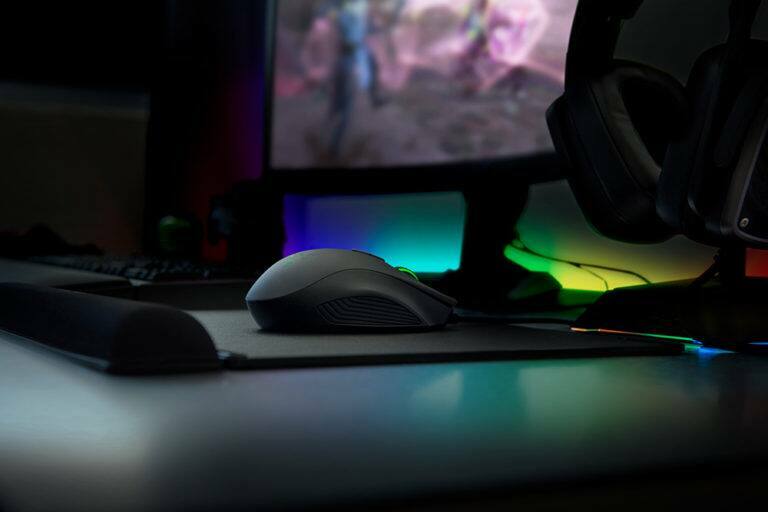 Its latest new product, the Razer Naga Trinity, is a modular gaming mouse that offers three unique identities and virtually endless customization. Although it's marketed towards MOBA and MMO players, just about everyone can benefit from the added capability and design of this unique mouse, even if you don't play games at all. Let's take a closer look at the new Razer Naga Trinity, and explore its impact on gaming (and work) performance. 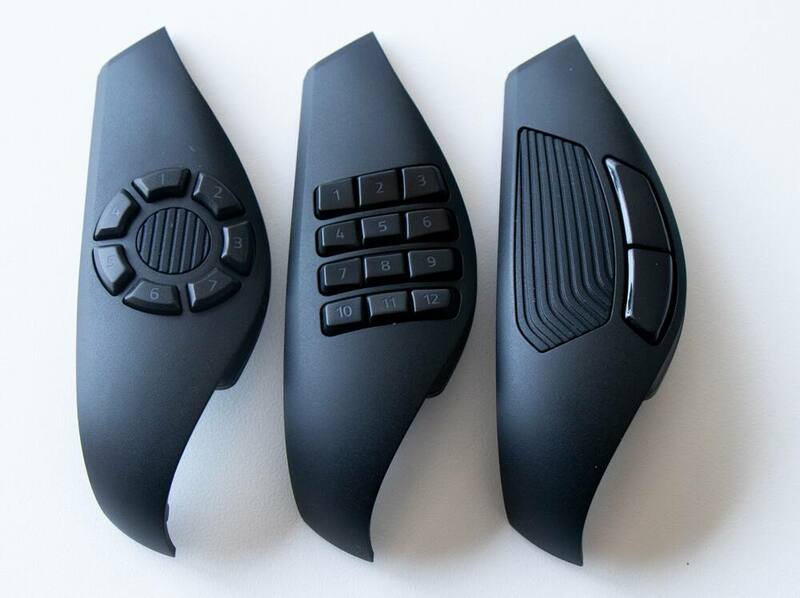 With three interchangeable side plates, the Naga Trinity easily adapts to a wide range of user preferences and scenarios, making it a truly adaptive pointing device. The magnetic panels detach easily to allow for a two, seven, or twelve-button configuration. They also feature mechanical switches for each individual thumb-button. As someone with big hands and a tight grip, I was expecting lots of mis-clicks from the side panel due to the small keys and dense layout, but surprisingly, it never happened. 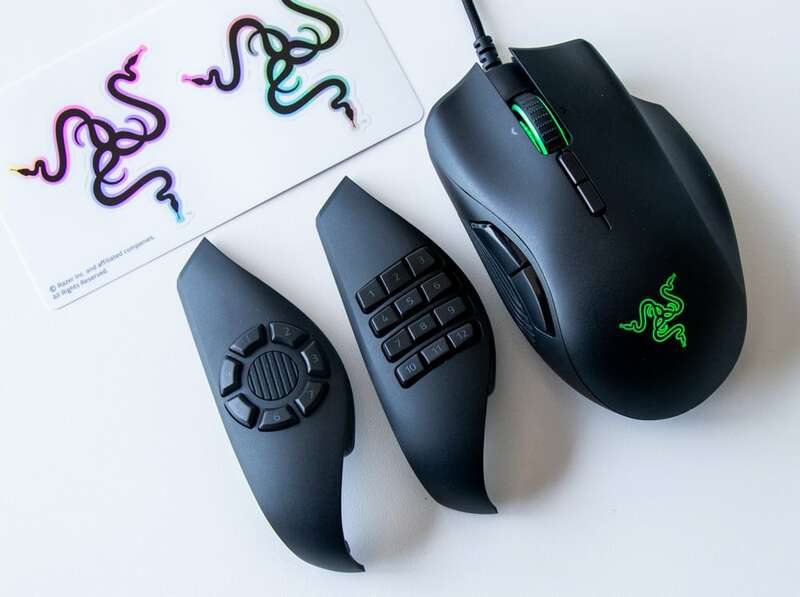 Razer has found the perfect actuation pressure for each button so that every click is deliberate and simultaneously effortless. With that being said, I wouldn't default to playing a fast-paced shooter with the 12-button panel. Under normal conditions, though, I can quickly and confidently move the mouse without triggering any unwanted key presses. This thoughtful consideration also extends to the ergonomic finger rest on the right side, which allows anyone using a "palm grip" to keep their fourth finger from getting caught under the mouse during frantic firefights. 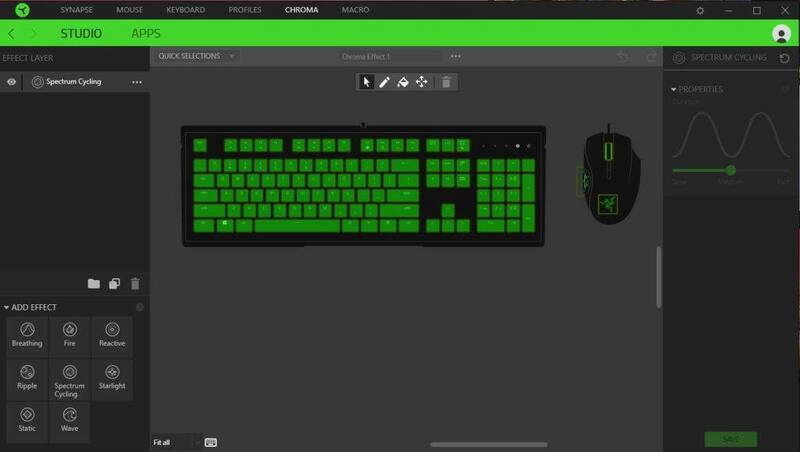 Of course, no Razer product is complete without the popular Chroma lighting system, which offers nearly-unlimited visual customization. 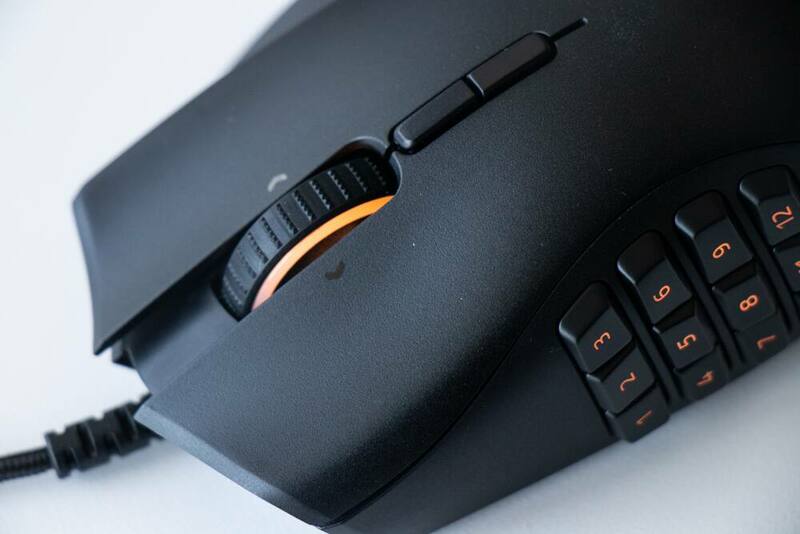 The Naga Trinity features three individual lighting zones — logo, scroll wheel, and left side panel. You can program unique patterns, or let compatible games take over the display of colors. For example, when playing "Overwatch," the Naga Trinity will display colors based on your current character selection. Other notable design elements include rubber grips on both sides (except for the 12-button panel), and a braided cable. Friction and inaccuracy are a gamer's worst enemies, and the Naga Trinity tackles these common issues head-on with a lightweight form-factor, 1000 Hz polling, and one of the fastest undersides I've ever experienced. The result is a buttery-smooth aiming/pointing experience that's completely lag-free. Two buttons below the scroll wheel also allow users to adjust the resolution of the mouse's optical sensor on-the-fly. So with the same mouse move, you can either spin 360-degrees or aim slowly and carefully. 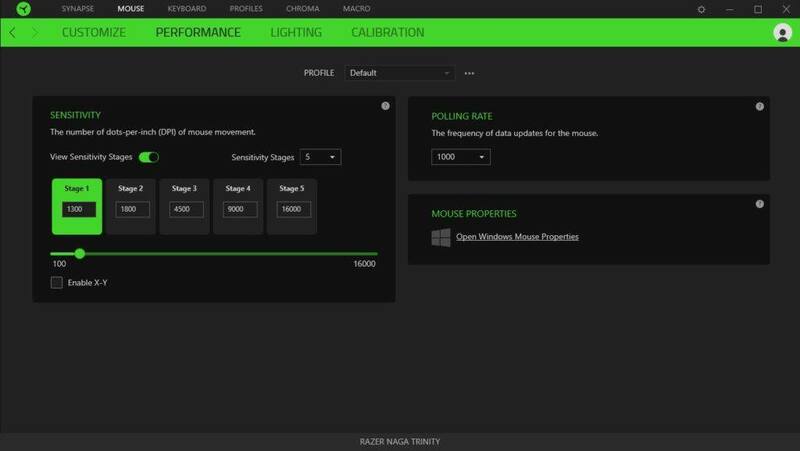 Aside from the obvious fact that more buttons means more available actions, the included Razer Synapse 3 (beta) software provides full customization of all buttons. You can also program multi-key macros. This is especially helpful for productivity apps, where complex shortcuts (Ctrl+Shift+E, for example) can be executed with a single button press. Being able to bind macros to the Naga Trinity's side panel really speeds up tedious tasks, like exporting photos, copy/pasting, or any other repetitive action. The possibilities are endless thanks to Synapse 3's robust and flexible features. Here's a video demonstration of how custom key bindings give you an advantage in "Fortnite." Notice how I'm moving the character, aiming, and selecting building materials simultaneously. This is possible despite the fact that the building actions are, by default, bound to the hard-to-reach F1 through F5 keys. And because no one has just one game, each side panel can be associated with different user profiles in Synapse 3, and they're automatically activated based on whatever game you're playing. Currently, I have the 7-button panel set to photo editing macros by default, but when I run "Fortnite," those same buttons execute a different set of commands. It's like having a personal mouse for every game in my library. 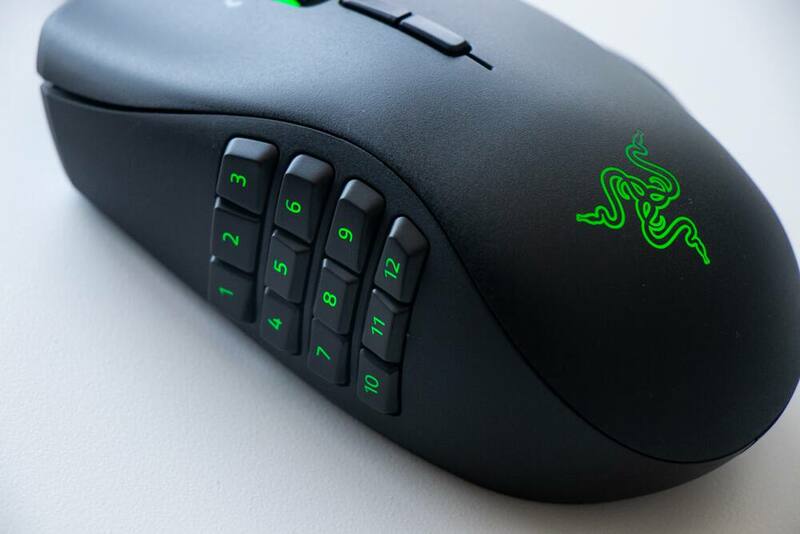 Should You Buy the Razer Naga Trinity? 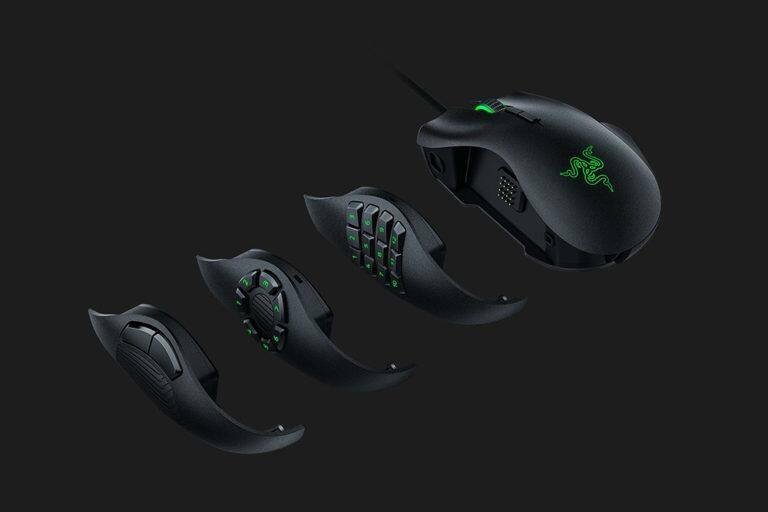 If you've ever been frustrated by having to lift your fingers off of WASD to reach other keys, or wish you could carry out a series of actions more quickly, the Razer Naga Trinity is definitely a game-changer (pun intended). More than just a gaming mouse, the Naga Trinity provides a better quality of life for PC users thanks to performance-driven design, endless customization, and robust construction. Its unmatched versatility and effortless movement will make you question how a traditional mouse was ever considered adequate for so long. 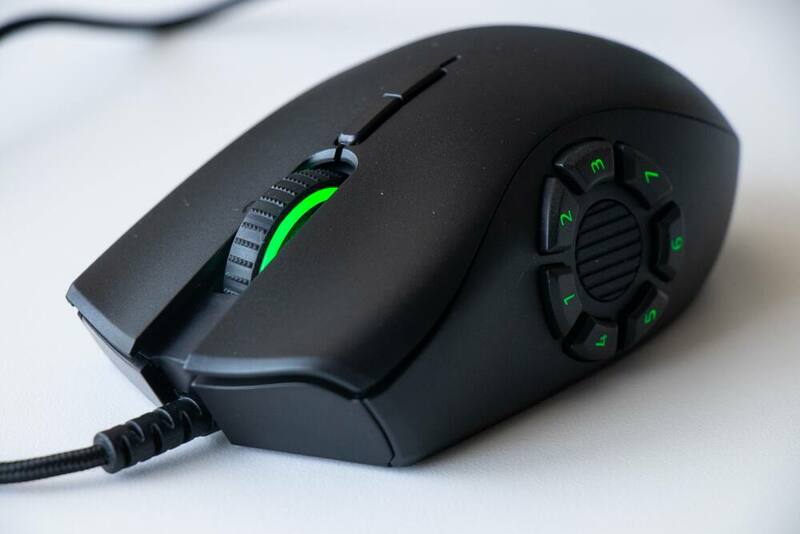 With its current price of $89.99 from the Razer Store (at time of publish), the Naga Trinity is on the more expensive side of things when compared to similar products from other brands. But then again, it's the only mouse (that I'm aware of) with interchangeable side buttons. As a gaming enthusiast who plays a variety of different game types — FPS, MOBA, MMO, RTS — I feel that the convenience, comfort, and performance advantage offered by the Naga Trinity is well worth the price of admission to the "Cult of Razer." Significant discounts on Razer products can be a bit hard to come by, so set a Deal Alert or keep an eye on our Razer Store page for all the latest savings. And don't forget that certain purchases from the newly-launched Razer Game Store will earn you a $10 hardware voucher to use at the Razer Store. Images by Andrew Chen and Razer.